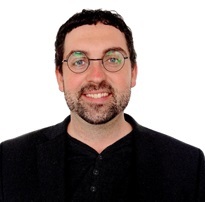 We are in some exciting times. This is a great time to be part of the Healing Rooms. I have some great resources to mention that we just added to the bookstore. Not sure which oil you want? Check out every oil Abba Oil has with the variety pack. Also, this is a season where we are stepping into an understanding of God's love and his affection for us as his children so I have included Brent Lokker's book, Daddy You Love Me into to our bookstore. Don Potter recently said that we are the first generation to really start to understand Papa's love for us. This is an incredible book as we are part of releasing those who are in a orphan mindset into knowing our identity has children. Another great resource that we are excited about is the new Holy Ghost movie. This movie will stir you up for revival. Enjoy! Newly designed gold box with view window contains a 1/4 oz. bottle of each of 12 fragrances: Cassia, Cedars of Lebanon, Frankincense & Myrrh, Henna, Hyssop, Ketubah, King's Garments, Lily of the Valley, Myrrh, Pomegranate, Rose of Sharon and Spikenard. Brent’s powerful yet tender stories will irresistibly draw you into deeper places of intimacy with your heavenly Daddy. The more you receive God’s outrageous love, the more it pours forth from you as the world changer you are destined to be. It’s time to encounter God’s passionate heart for you! 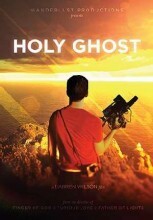 Holy Ghost is a feature film documentary that follows filmmaker Darren Wilson as he travels the world attempting to make a movie that is completely led by the Holy Spirit. At times challenging, but always uplifting, Holy Ghost reveals a God far bigger and more active than previously thought. Can the Holy Spirit direct a movie? In this fast-paced documentary from the director of the popular films Finger of God, Furious Love, and Father of Lights, Darren Wilson sets out to make a movie that is completely led by the Holy Spirit. No plan, no script, no safety net--just go wherever he feels the Spirit leading him to try and discover the adventure God has for him. Whether it's the riches of Monte Carlo, a heavy metal concert, or the oldest city in the world, the result is a film that not only challenges and excites, but also reveals a God who is far more alive and active than you ever imagined.